A "For Sale" listing has been posted online for Marco & Pepe. While it hasn't yet been confirmed by the owners, the listing is for the whole property, turnkey restaurant and event space included, for $3.7 million. A new restaurant, Nana Thai, is coming to Central Ave. There doesn't seem to be a website yet, but it seems like they just opened to the public and they'll eventually be open every day from 6am-10pm. Burger Eatery is celebrating their one year anniversary on Wednesday with a party and free classic singles from 3-5pm. Welcome to weekly series,"Friday Feature"! The first Friday of every month will continue to be "Get to Know JC Eater" showcasing a local resident and their recommendations, but on all other Fridays, a specific dish or food find from around Jersey City will be featured on the blog. 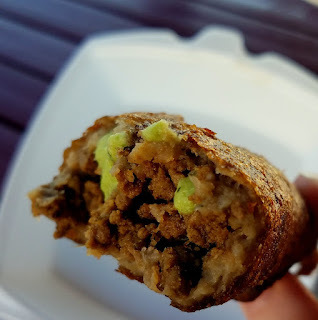 This week, the Friday Feature is about the alcapurias from ME Casa, available both in the restaurant and on the trucks under the appetizer section (although I've certainly made a meal out of them). As the end of the year approaches and a new one begins, Jersey City has several restaurants in their final stages of development. Here are five new restaurants to look forward to over the next few months. 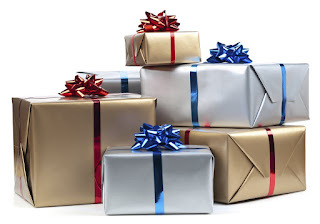 Feed JC is collecting hats, gloves, and scarves through 12/22 to donate on Christmas Day. Pick-up spots include Base NJ, Whealth, Squeeze'd, Garden Steaks, World Boxing Gym, O'Leary's, Light Rail Cafe. Congratulations to The Hudson Kitchen on finding commercial kitchen space which will be available for lease beginning 1/3/17. A new juice bar, Tropix Juice, has opened at 245 Central Ave. Welcome to a new weekly series,"Friday Feature"! The first Friday of every month will continue to be "Get to Know JC Eater" showcasing a local resident and their recommendations, but on all other Fridays, a specific dish or food find from around Jersey City will be featured on the blog. 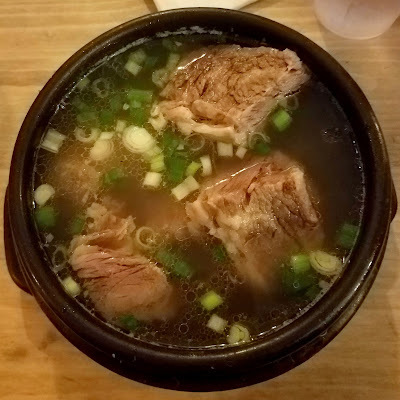 This week's Friday Feature is Galbitang, a traditional Korean bone-in short rib soup from Ahri's Kitchen. Not up for cooking on Christmas Eve but still want a nice meal? 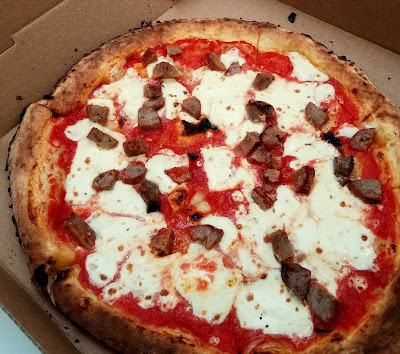 Check out this round-up of places open and serving dinner in Jersey City. When winter coats start coming out and it takes more than a minute to delayer upon entering a building and then another minute to relayer upon preparing to leave, there's nothing left to do but embrace the season. One great way to do that? Hot chocolate! 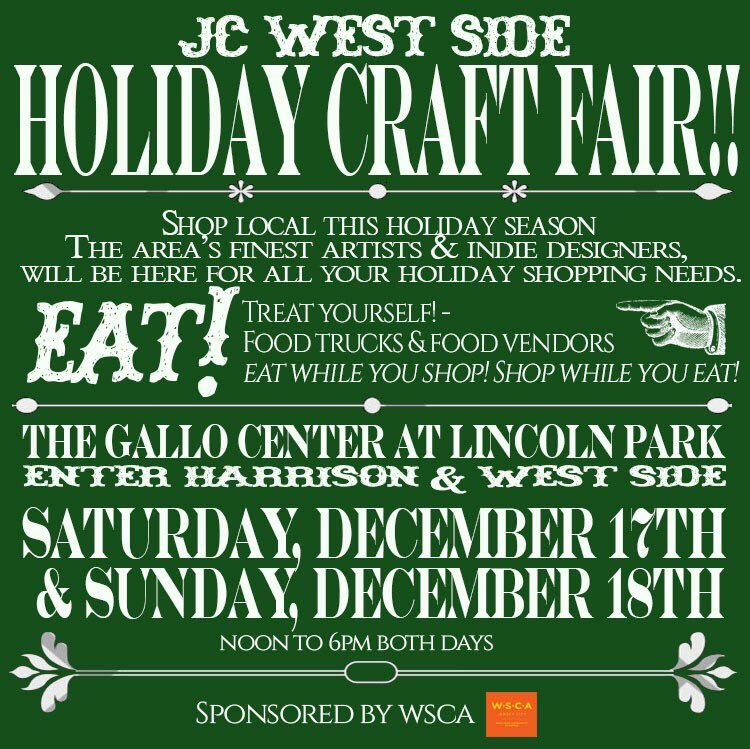 The Jersey City West Side Craft Fair is this Saturday and Sunday, 12/17-12/18 from 12-6pm at the Gallo Center in Lincoln Park. Congratulations to Andrea Salumeria on being named the Best Sub Shop in NJ. Sam a.m. is hosting Feast of the Seven Fishes, a 5 course benefit dinner for The York Street Project, this Wednesday and Thursday. Seatings are between 6:30-8:30pm and tickets are $60/person. Novello Cucina is starting up local delivery this week. Orders need to be placed by Tuesday at 8pm and deliveries will be made on Thursday or Friday. 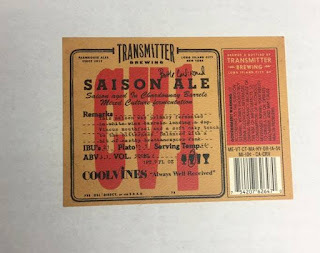 Cool Vines, 276 Grove, has teamed up with Queens-based brewer, Transmitter, for their very own unique beer. 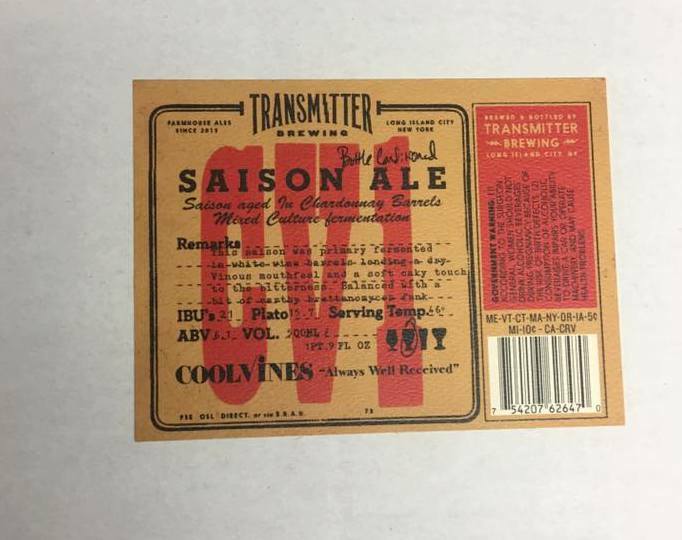 Available in limited quantities solely through Cool Vines here and in Princeton, the beer will be called CV1. Yesterday, Jersey City's own Andrea Salumeria, was named NJ's Best Sub/Hoagie Shop by Pete Genovese of NJ.com after an exhaustive search throughout the state that originally started with over 350 nominees. Earlier this year, Harborside Craft Brew Fest came to town and now the organizers are back with the Jersey City Wine Fest, coming next year, 1/28/17. Full disclosure: I attended this dinner free of charge at Pasta Dal Cuore's invitation, but with the understanding that any review I posted would be honest and unbiased. All opinions are my own and are an honest reflection of my experience. Earlier this fall, Pasta Dal Cuore and Cool Vines collaborated on Autumn in Northern Italy, a five course dinner featuring regional Northern Italian recipes paired with Italian wines. It was a wonderful night, complete with an excellent menu and some truly delicious wines. For the diners and organizers alike, there was a sense of excitement and anticipation that paid off so well, Pasta Dal Cuore has already planned their next event (hint: midnight and drinks are involved! More details below). It felt like the theme of the night was elegant simplicity. 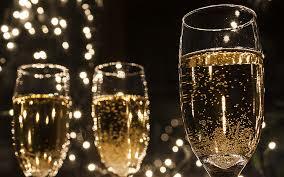 As guests came in, they were started off with a light prosecco, a nice touch. As each course was presented, we'd hear a couple of notes about the dishes and the wine and what went into them from Elena, owner of Pasta Dal Cuore and Amy Ezrin from Massanois Merchants who worked with Cool Vines to select the wines. There wasn't a wine I didn't like and it was a great way to learn about and experience some I might not otherwise try. While there were a couple of moments of off-timing as wine got poured and dishes were served, overall, the evening flowed very well and the portions were perfectly sized - not just bites of everything so everyone's still hungry but made with an awareness that five courses can be a lot to get through. Congratulations to Latham House and The Kitchen Step for being named as two of the 10 Best New Restaurants in New Jersey. Krispy Kreme is estimated to be opening across from Grove Plaza on Marin Blvd. in January. 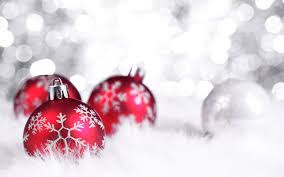 O'Leary's is having an Ugly Sweater Christmas party on Sunday, 12/18 beginning at 4pm. Welcome to "Get to Know JC Eater" where, every week, I post a profile of a local resident sharing where and what they love to eat in Jersey City. If you'd like to be featured, please leave a comment below or email me directly. 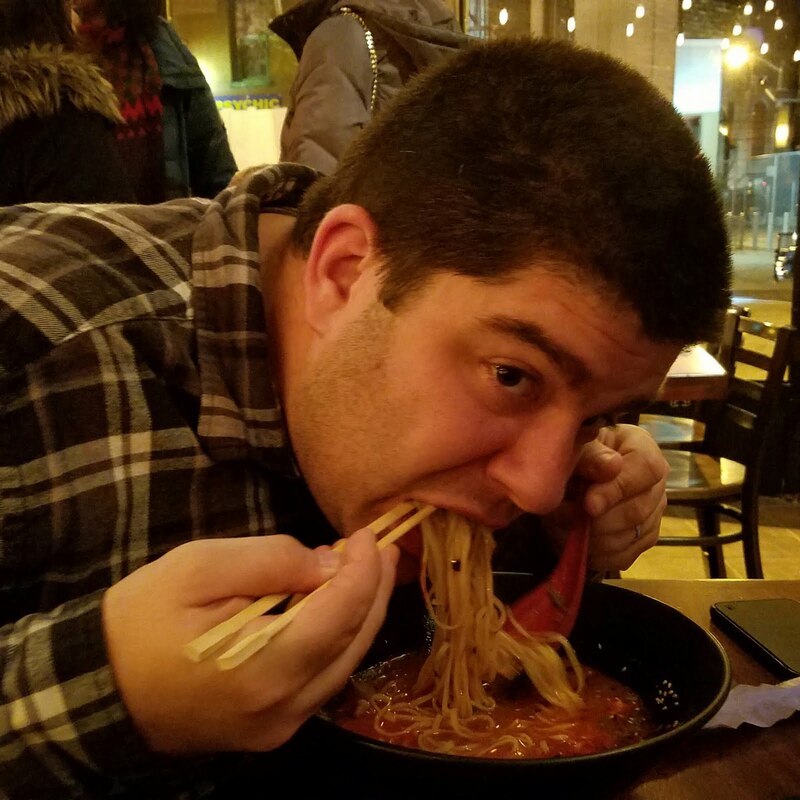 This week's JC Eater is an overall food enthusiast who knows exactly which classic Jersey City spots to take out-of-town guests to. 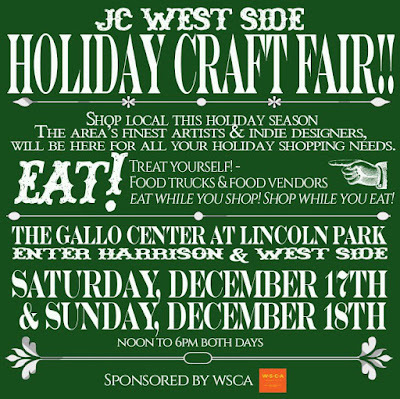 The holidays are a busy time in Jersey City, but there are lots of markets around so you can shop while drinking, eating, and having a good time. To help you stay organized, here's a rundown of the markets happening over the next several weeks.